Theresa May used the Westminster Correspondents’ Dinner to restate her commitment to a free press and poke fun at her former colleague and Evening Standard editor George Osborne. The Prime Minister spoke at the event for the first time, joking that she called a snap general election last year specifically to “get out of” speaking in front of lobby journalists. 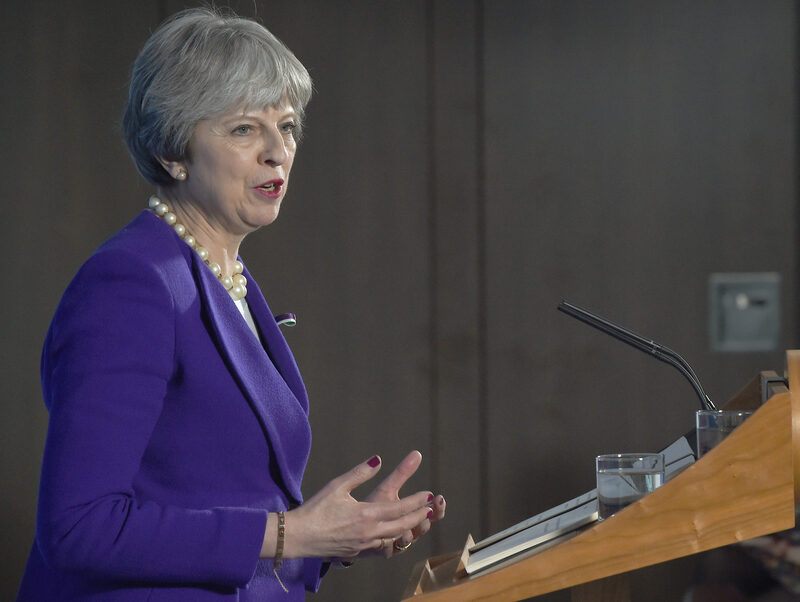 Nonetheless, May echoed her words from earlier in the day at Prime Minister’s Questions underlining the importance of a free press and complimented political journalists who hold the powerful to account. She said: “It has been my pleasure to celebrate the role of a free press and impartial journalism with you all this evening. 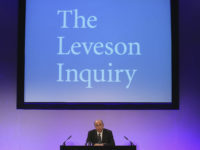 Elsewhere in her speech, May took the opportunity to take a dig at Osborne, as she thanked The Times Red Box editor Matt Chorley for his introduction. Since stepping down as an MP shortly after taking helm of the Evening Standard, Osborne has written a number of editorials taking aim at May and her handling of Brexit negotiations, although the paper did back her 2017 election bid. May jokingly called Chorley one of her biggest cheerleaders on Fleet Street, before listing “recent glowing reviews” that have appeared in Red Box. The quotes she gave included: “We must surely assume that Theresa May has a skill”, and: “It must have been a brave adviser who suggested to the Prime Minister that she give a speech about robots, rather than like one”. 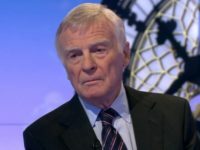 May also credited the work of Kate McCann, chairman of the Press Gallery and senior political correspondent at The Telegraph, and Emily Ashton of Buzzfeed, in this centenary year of female suffrage and with the backdrop of the Time’s Up and Me Too movements.